Mahabaleshwar a most preferred Hill station near Pune and Mumbai is having many exciting places to be visited. Its importance lies in its climate as well as its historical background. The Mahabaleshwar places to visit include sightseeing tours, Forts, Temples and many more. From the huge list here are some places which must be visited during your tour to Mahabaleshwar. This legendary fort was built by the eminent Maratha warrior Chhatrapati Shivaji Maharaja in the year 1656 in order to be in command of the rebellious rulers of Javali basin located nearby. It is a maze of ponds, chambers and long dark walkways, some of which lead to trap doors that open to a 100 meter fall. This place is also the site of the historic battle that took place between Shivaji and Afzal Khan, who was the ruler of the Bijapur Sultanate. It is at Pratapgad that Shivaji killed Afzal Khan on 10th Nov 1659. Climbing Pratapgad is exhilarating and offers excellent views of the Konkan valley. There is an important Bhavani temple built by Shivaji whose idol was brought from Nepal. A visit to Pratapgad Fort, 24 km from Mahabaleshwar, adds a historical dimension to the Mahabaleshwar-Panchgani holiday. Lingmala Waterfalls present an enthralling sight of cascading water as it scatters from atop a steep cliff into thin silver streaks, often encircled by rainbow colors. The other waterfalls Chinaman and Dhobi are popular with picnickers. The former can be reached by the Carviali Road. Dhobi waterfall is on a bridle path connecting Petit Road with Old Mahabaleshwar Road. A boat ride on the tranquil, crystal-clear waters of Lake Vena entices one beyond appreciation. The cool whispers of the surroundings add to the serenity of the landscape. Lingmala Waterfalls is a beautiful waterfall located just six km from Mahabaleshwar, in Maharashtra. Situated at the top of Venna Valley, this glittering waterfall is at its best during monsoon when the water level rises and cascades down. The water which plunges from a height of 600 ft from the cliff offers the most scintillating of the sights. It lies on the Mahabaleshwar-Pune road. July to December is the best time to see the waterfall. The stream here precipitates over the face of steep cliff, unbroken when the torrent is swollen by rain but ordinarily divided by projecting rocks about one third of the way down into thin silver streaks and sprays often circled by rainbows. We can see Dhobi Waterfall, and Chinaman's waterfall in Mahabaleshwar. 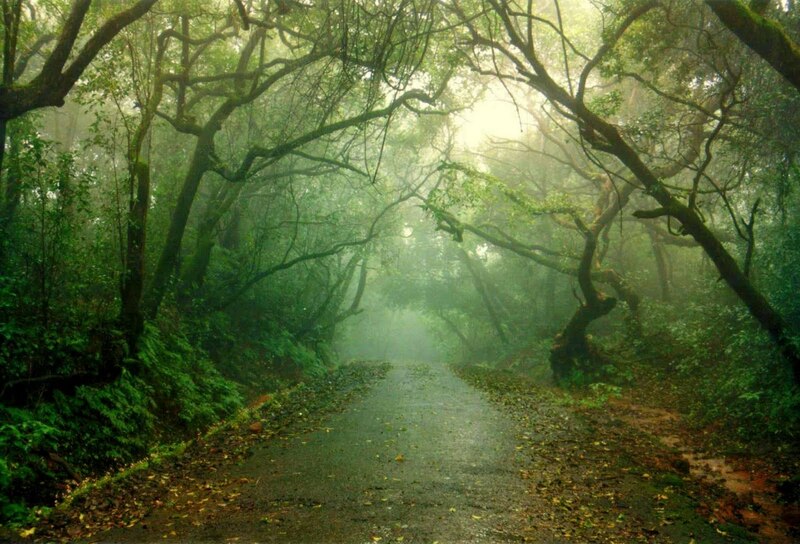 Mahabaleshwar is one destination that never ceases to surprise. Disappointment is a word that will never pop into your head when you go travelling to Mahabaleshwar tourism . While there are several tourist destinations around the city, two places highly recommended are Elphinstone point and Arthur's Seat. One of the most famous and beautiful destinations in Mahabaleshwar, Elphinstone point was named after the Governor of Bombay, Sir Elphinston and was originally discovered by Dr. Murray in 1830. From the Elphinstone point, one can get a supremely clear view of Pratapgarh and it also overlooks two valleys, the Koyana on the left and the Savitri on the right. The ravine between Elphinstone Point and Arthur Seat is the rise of the Savitri River, with Arthur’s seat located a mere two miles away from Elphinstone Point. Arthur’s seat is named after British actor Arthur Malet. Towards the north-west of Mahabaleshwar is Arthur's seat. He first built a house here, the view of the valley, Savitri River and the valley of Jor is truly exhilarating. In the summer season the haze usually obstructs the view but in the months from October to November, these hills are seen to a fine advantage. At a height of around 1470 metres high, Arthur's Seat is compared to the world famous stratification of rocks of the Grand Canyon in Colorado. A fun feature of this destination is that any item, like a straw hat or a handkerchief, when tossed down from this spot, never falls directly but floats in the air like a spread out parachute. Table Land is located at an altitude of 60 meters. It is the second longest mountain plateau in Asia. The hills are a formation of laterite rock. They overlook some exquisite caves. Devil's Kitchen has a legend attached to it. It is believed that Pandavas stayed here for some time and cooked food here. Sydney Point offers amazing views of Dhom Dam. It also overlooks Pandavgad and Mandhardeo. Rajapuri Caves are situated at a distance of 10 km from Panchgani. Famous Temple dedicated to Lord Karthikeya is located here. Finest strawberries in the country are grown here. On local Wednesday market also called "Budh ka bazaar" villagers from neighboring areas gather to sell fruits, vegetables and household items. You can purchase delicious jams, jellies, fruit crushes and honey from this market. Travelhot.in offers exciting Mahabaleshwar Tour Packages . Being a Hill resort when you reach Matheran you will feel as if you have come very close to the nature. There are nearly 35 to 38 places to visit in Matheran. 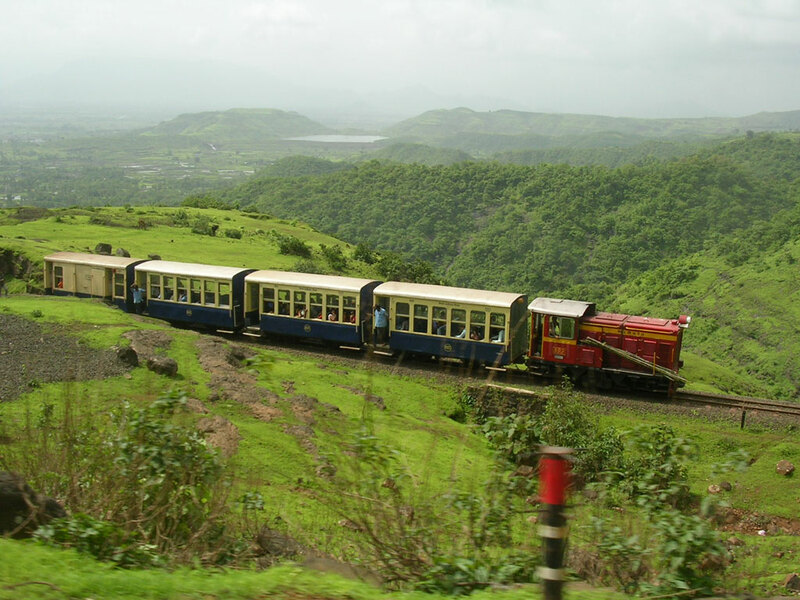 Here you get information about right time to go to Matheran. Only 1 km from the market place also known as Sharlott Lake is a serene scenic spot in Matheran. An ancient temple Pisarnath temple is located at the right of the lake and two beautiful picnic spots Louisa point and Echo point from which you can catch a sight of the wild and wonderful landscape and the reddish brown Sahyadri ranges are placed at the left of the lake. The lake location is rich in panoramic sceneries and lusting greeneries. This popular tourist destination is splendid during Monsoon and mostly gets dried up in summer. One can watch some domestic bird fauna flying over the lake adding the picturesque beauty of the lake. Feel the crisp cool air teasing your face as you survey the beautiful landscape around you. The hill resort gets its drinking water supply from the lake which is a beauty to behold especially during the monsoon months, with its swirling coffee brown waters. Food stalls serve up local delicacies and the lakefront is ideal for picnicking. Although quiet far from Bazarpeth it gives you a panoramic view of the Sahyadri ranges, that’s why it's named as Panorama point. As the name suggests, this can be called as “king” of the points. Situated at Matheran end, it has valleys on east and west side. On eastern side, one can see Neral down below while one can have a glimpse of Panvel and Gadeshwer Lake from west. Sunrise can also be seen from this point. The mountain “Prabalged” is just in front of this point. It is about 2 km from the Post Office. On the right one can experience Echoes reverberating in a low tone from this place. During September-October good view of waterfall can be seen, to the delight of your eyes. Echo of our screams and yells can be heard from here. A view of Louisa Point is taken from this point. For Many years, there was only one tree at this point & hence the name. This was the point from where mallet first came to Matheran in 1850. One Tree Point or One tree hill is a unique hill spot with a single Jambhul tree perched at the top. The walk through the road known as Shivaji’s ladder, going down from the hill to the plain is really a great experience. Garbert point is a secluded and not much visited point. At this point valley on one side and dense forest on the other side, one can see beautiful sun rise from this points. Like many other points of Matheran, the Alexander Point is located at the hill cliff and offers scenic views of surrounding places. Best views of Bhivpuri Power House Towers are seen from Alexander Point. Other spotted attractions from this point are Rambagh Point, Garbut Point and Chowk Point. The steep valley below Alexander cliff, Ulhas River, Palasdri Lake and Borgaon Village are seen from here and greatly add to the charm of Alexander point. Porcupine Point is an attractive view point in Matheran hills. The name is originated from the bird Porcupine as this place has the shape resembling that of Porcupine bird. A nearby majestic attraction is Cathedral rocks located on the western side from Porcupine point to Louisa point. This spot offers the ideal view of sunset and also gives the majestic view of distant Prabalgad fort. The location is blessed with scenic surrounding and densely populated thick forests. The calm and cool atmosphere gives the travelers a pleasant feeling. Louisa Point in Matheran is a charming hillock located on a plateau and offers breathtaking views of Vishalgad Fort and Prabal Fort. The natural beauty of this place is simply unsurpassed and is one of the most famous lookouts in Matheran. This is a marvelous place to relax, away from the rush and din of the plains in peace and tranquility. This point was the most chosen one when India was under the subjugation of the British and the British high officials used to spend their vacations, when the plains were terribly scorching. Located beautifully in the lap of the Western Ghats, Louisa point offers panoramic views of sunset. A languid stroll at this point would simply wipe away all your stress and leave you completely rejuvenated. The waterfalls at this point are simply eye-catching and can be witnessed after the monsoons in the months of September and October. It is one of the most beautiful points and is frequented all the year by the lovers of nature and globe trotters as well. This point is an inevitable stopover in your tour itinerary. There is a hillock which is known as Lion's Head. It is an idyllic spot for picnic and thus attracts a large number of tourists from the various parts of India and the world. Travelhot.in offers budget tour package for Matehran.